Wanna drive more people to enjoy this world-class dance festival. As a host, you must need to come up with some efficient ways to promote this event. 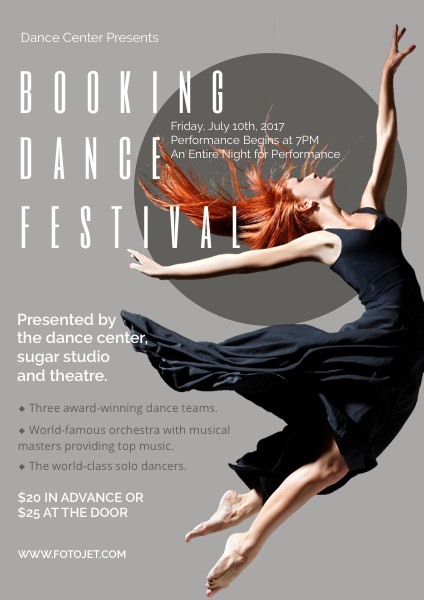 Handing out some dance flyers may stand out since it is easy to finish with the help of flyer maker FotoJet. This dance flyer template is geared towards to help you make flyer online for such an event. The beautiful dancer image will hit the theme. You just need to add your own festival details to finish promotional flyer designs.